At AIMS, we take special care to ensure our international patients feel at home in India. We leave no stone unturned in giving them the right amount of attention whenever required. A SIM card, provided to you immediately after your arrival, so that you can talk to your relatives back home. Foreign Exchange conversion at the hospital. Fax, photocopy, and courier services. Express check-in through our dedicated International Patient’s Lounge. Complimentary stay in your room for one attendant (while you are being operated on, we will provide alternative accommodation for your attendant). Internet (wifi) access in the room. 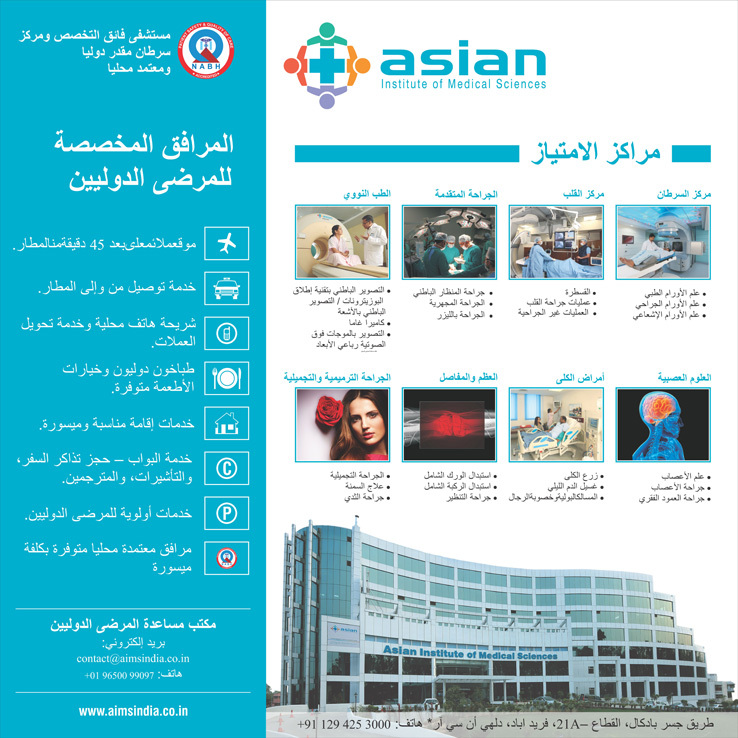 Dedicated international executive during your entire stay with us at ‘AIMS’ for all your medical and non-medical needs. Concierge services for dining and entertainment.